Hello everyone! It's Donna Espiritu here with my latest layout for the Paige Evans + Silhouette Design Team. 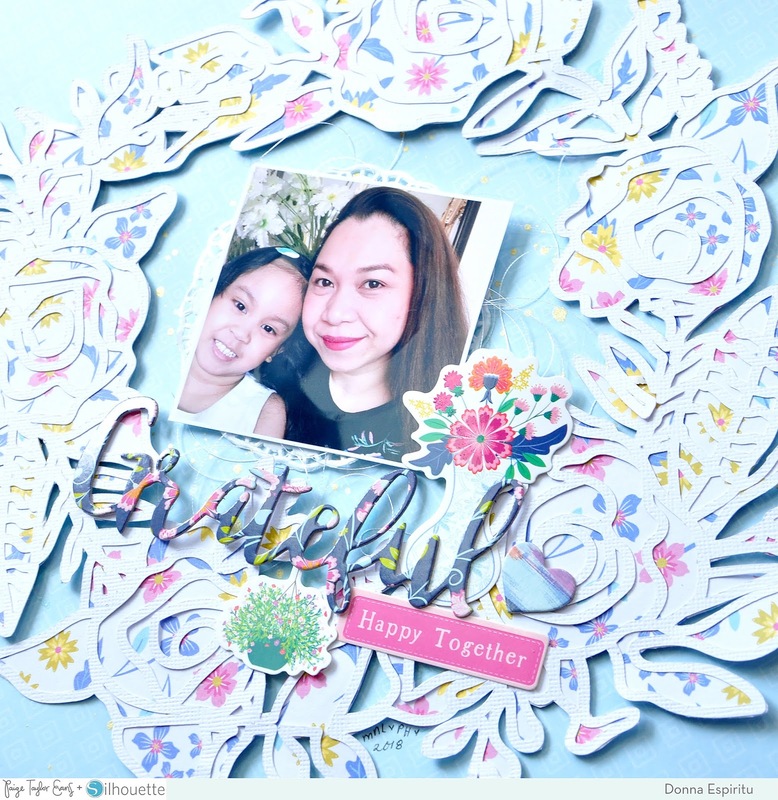 I used the new Horizon collection and Paige's Flower Wreath Large cut file. My favorite color is pink but with the Horizon collection, I've been drawn to the patterns with blue colors. 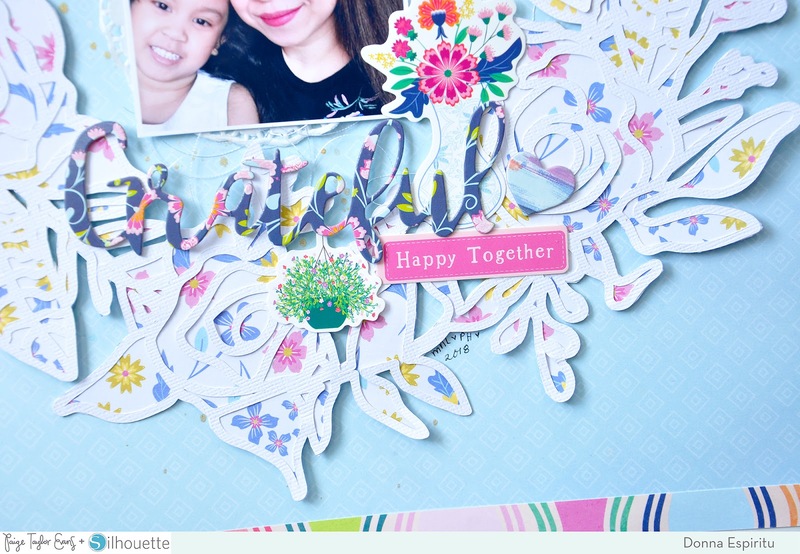 It makes the colors in this collection pop even more, just like Paper 08 which I used as background to my layout. I cut half an inch of the reverse pattern (you can also find this wavy pattern in the 12x12 Paper Pad) and adhered to the top and bottom edges. I used gold spray mist and splattered on the background before adhering the Flower Wreath Large cut file which I backed with Paper 23. I mounted this with foam tape for a bit of dimension. 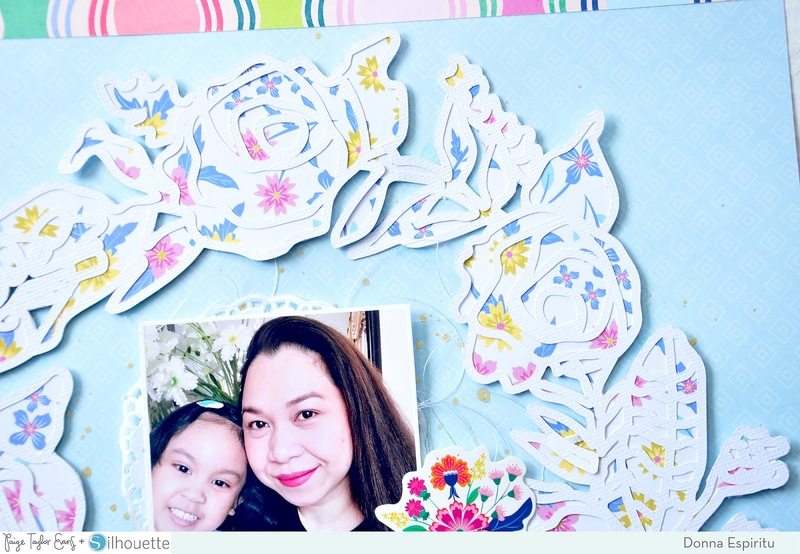 Then I placed my photo with over a doily and messy white thread. The rest is a few embellishments of Chipboard Stickers and Stickers as embellishment and a title. And that's it! 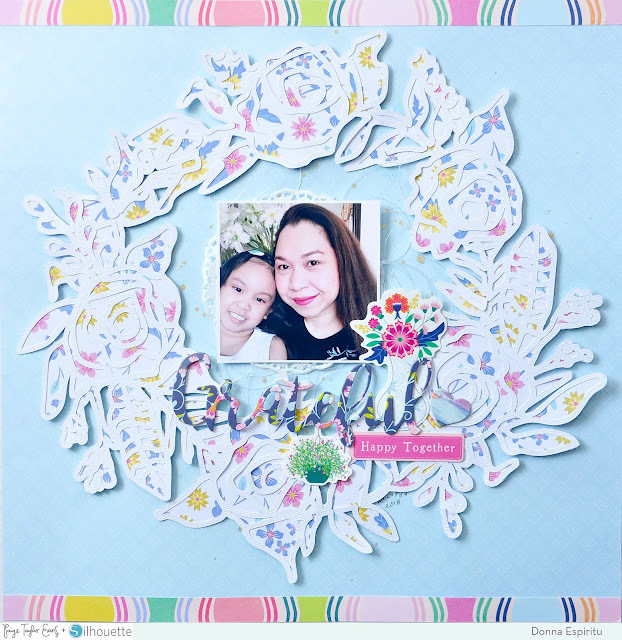 A simple and easy but pretty layout. I hope you liked my project today. Thank you for dropping by and see you all until next time! Happy crafting! This is gorgeous! LOVING that floral wreath!!!! !